Acquiring language skills is a natural part of children's development, so parents will gradually notice changes in their child's ability to communicate and express themselves. When and how children develop language skills is a subject of interest to many professionals working in health, psychology and education. The similarities and differences between the cultural experiences of children and how these are reflected in the development of their language skills is a specific area of focus for research. According to Researcher Beth Maschinot, the language development of children is increased the more adults communicate with them, regardless of cultural experiences. Another similarity found in all children, in spite of their culture, is the ability to recognize speech sounds and to learn language in a sequence. However, although the sequence of learning is the same in all cultures, the milestones may be reached at different stages. 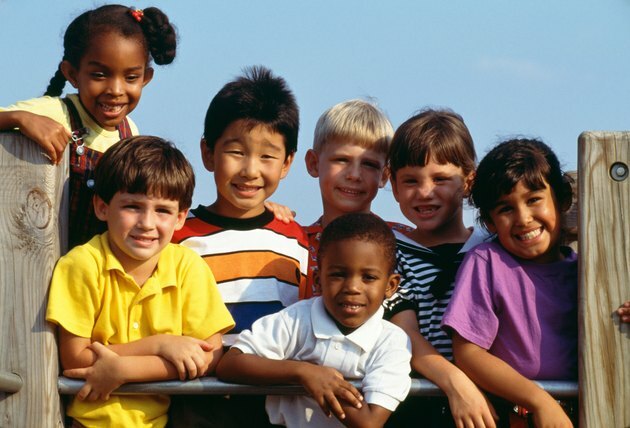 Beverley Otto, for Education.com, writes about the various differences that researchers have found when studying the language development of children from different cultures. The differences in language between cultures are evident when you compare how some countries use several words to describe a concept and others use just one word to describe the same concept. This is apparent from a young age. Otto goes on to identify ways in which language is used pragmatically. For example, in American culture, children learn by verbal instruction, whereas some other cultures learn by nonverbal instruction. Ethnographic studies, when people are studied in their own social and cultural contexts, have commonly found that it is factors other than culture that have the greatest impact on language development. Erika Hoff studied and compared the language development of children in China, the U.S. and Europe. The conclusion of the study was that, in some ways, culture did influence language development, although this was mainly because beliefs and the language were different. The study showed that there was a greater influence from socioeconomic factors. Writing for Simply Psychology, Saul McLeod looks at the work and theories of Lev Vygotsky. Vygotsky's theory suggests that, although children are born with the skills for language development, development is affected and shaped by cultural and social experiences. The culture in which a person develops will have its own values, beliefs and tools of intellectual adaptation. These all have an effect on cognitive functions, including language development. Vygotsky also believed that language is a result of social interactions and that language is responsible for the development of thought.